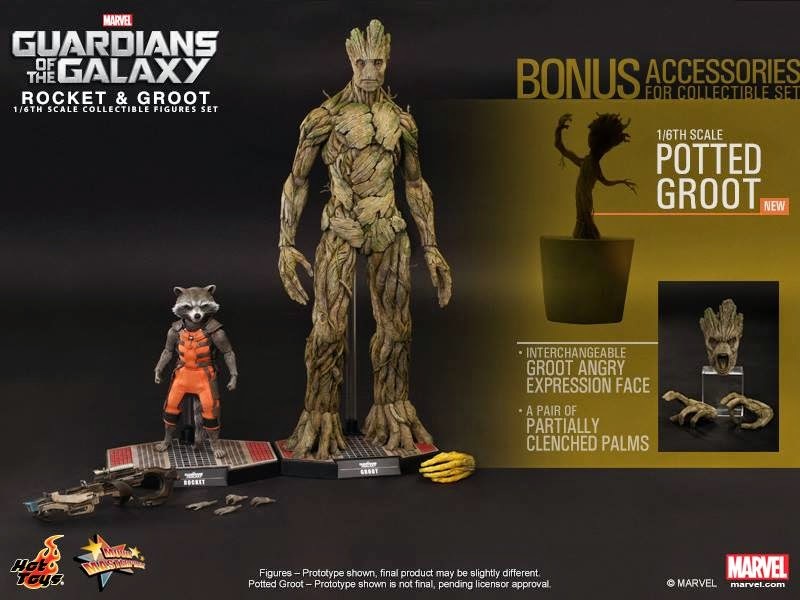 UPDATE: Hot Toys will now include a 1/6 scale Potted Groot as another bonus accessory exclusively for everyone who pre-orders the Guardians of the Galaxy 1/6th scale Rocket and Groot Collectible Set! Marvel Studios is expanding the Marvel Cinematic Universe this Summer and bringing fans to the cosmos in the action packed space adventure – Guardians of the Galaxy. 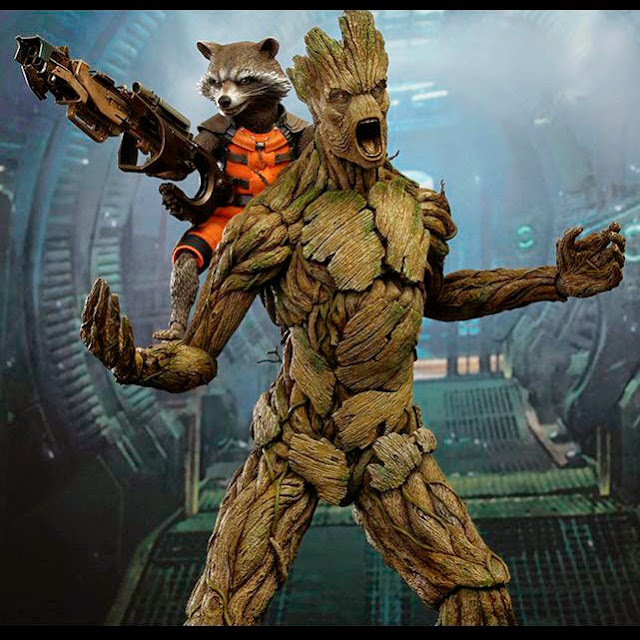 A group of outlaw, two thugs, an assassin and a maniac will team up to battle evil and save the galaxy! 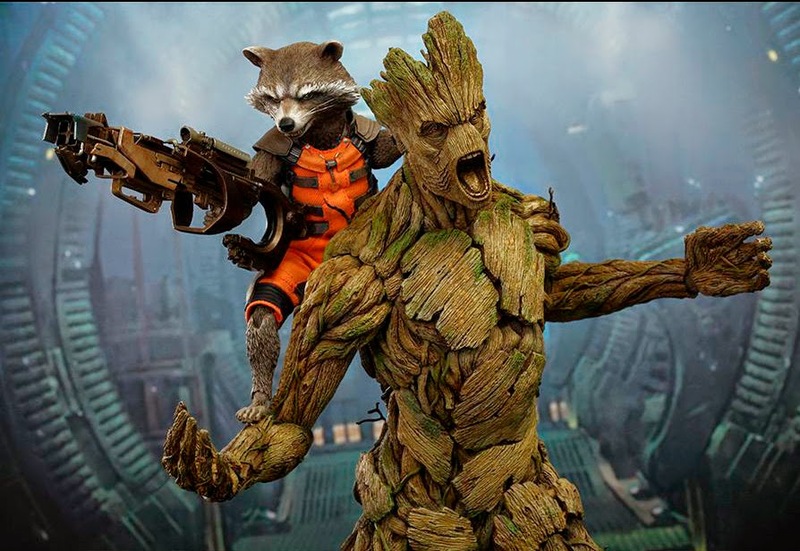 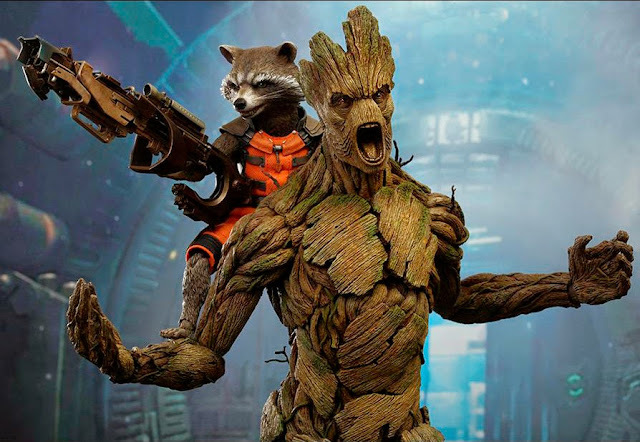 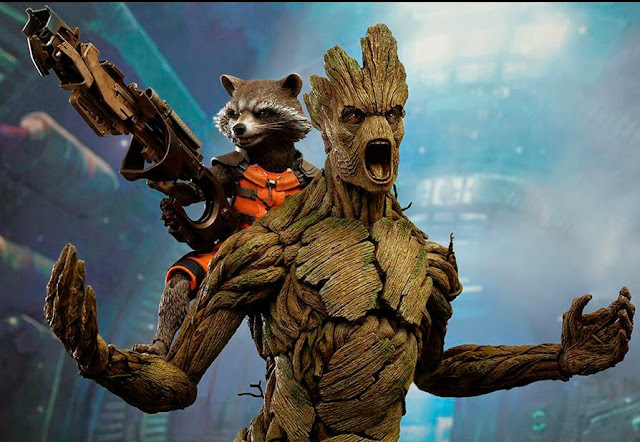 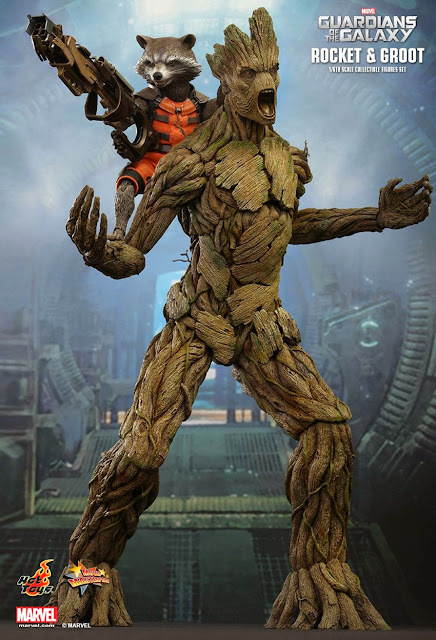 To gear fans ready for this film’s worldwide release, Hot Toys is excited to present a special 1/6th scale collectible figures set which includes the gun-toting Rocket and his personal houseplant / muscle Groot! 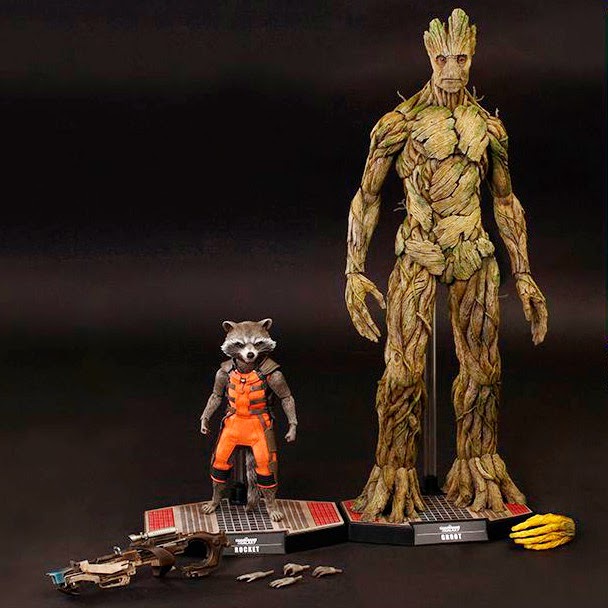 The movie-accurate Rocket Collectible Figure is specially crafted based on his unique physique in the film. It features a finely sculpted head and body, specially tailored costume, weapon, and specially designed figure stand. 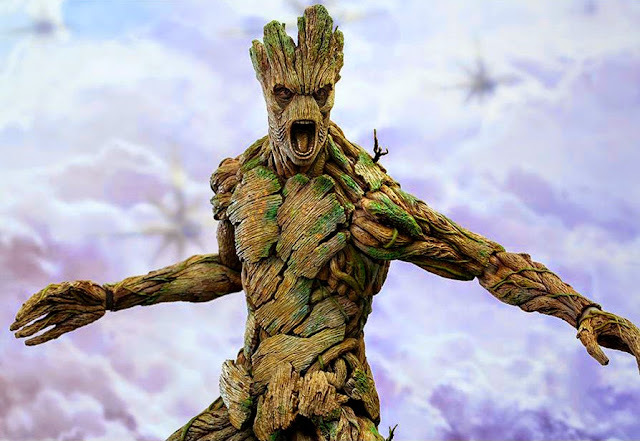 Check out the previous post HERE for more pictures and the product specifications. 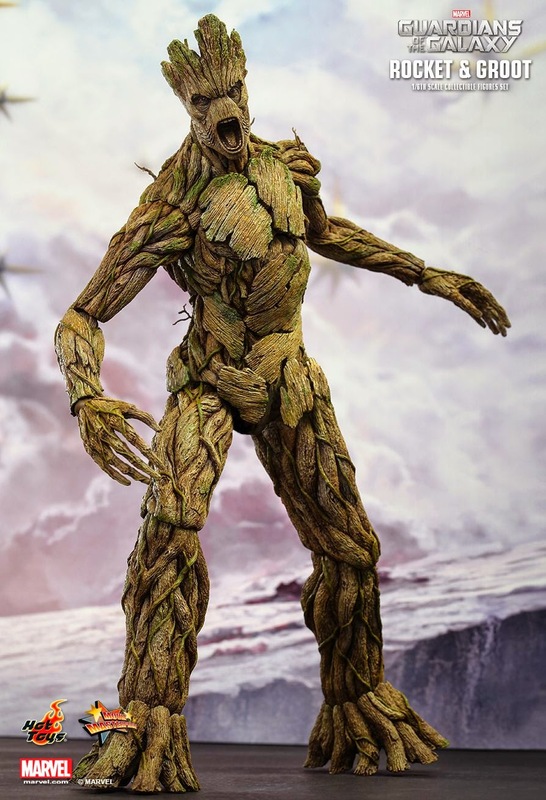 The movie-accurate Groot Collectible Figure features highly detailed head and body with amazing paint application to reflect his distinctive appearance, and a specially designed figure stand. 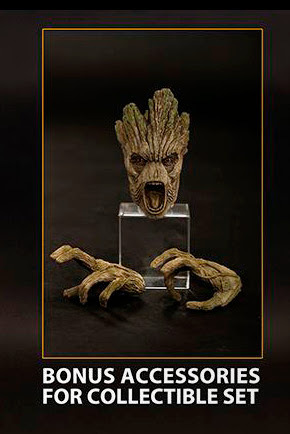 See my earlier post HERE for more pictures of Groot and the product specifications.